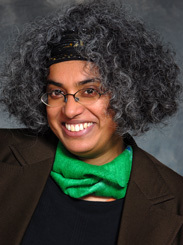 Nair is an academic, activist and writer, and was a member of Queer to the Left. She writes about immigration, hate crimes, politics, and other issues from a left progressive perspective. Her activism has also included Chicago LGBTQ Immigrant Alliance, Chicago Filmmakers, Queers for Economic Justice, Fire This Time at the Crossroads Fund, and the Alternative to Marriage Project.